This is a wonderfully flavored rice. Goes great with steaks, poultry and fish. 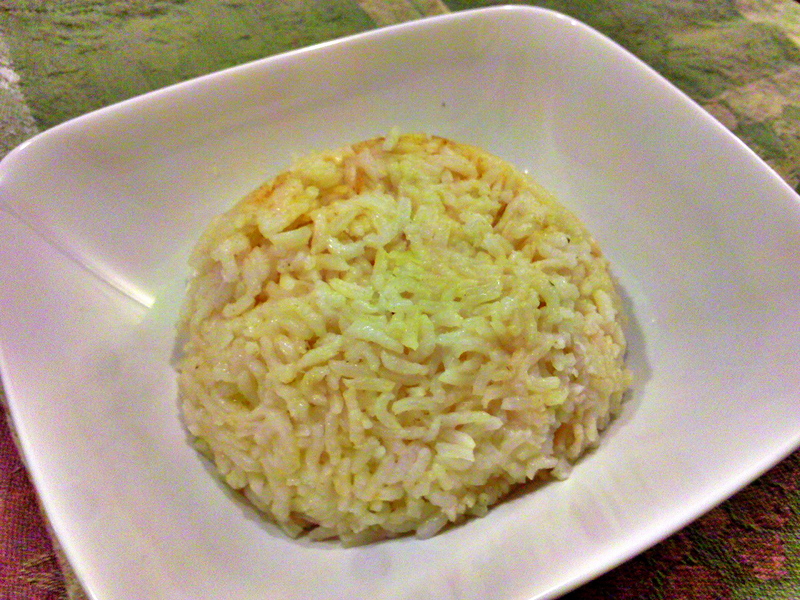 In a rice cooker: Evenly place rice in cooker and add water until it is about 1 inch above the rice. Use your thumb as a measuring guide. Turn on rice cooker and add the Bouillon, coriander, butter then cover. After 10 minutes of cooking add lemon juice and stir the rice to disperse and mix in all the ingredients. Cover and let cooker finish the cooking. In a saucepan: Same as cooker instructions but cook over medium-high heat covered with room for steam release. After water has evaporated to the level of the rice lower heat to medium-low and cook for 2 more minutes until you can no longer see the water bubbling in the rice. Don’t let water dry out too long or rice will begin to burn at the bottom. Great idea and recipe! I never would have thought of cooking the 2 together but maybe adding it afterwards. Also like the rice cooker option. Thank you. Thanks! It’s a favorite at home.